Based on reviews from 604,766 users. 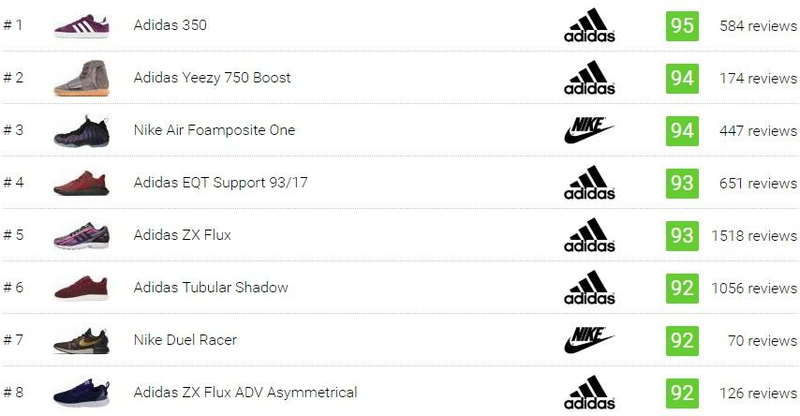 Learn how our rankings work or see our guide to purple sneakers. Updated Apr 2019. When you type in "purple sneakers" on the search bar of your web browser you are probably expecting the Australian band You Am I or the media website for hip and cool indie club music. Well, we have to break the news to you, none of that will appear on this site. Nonetheless, we can show you something more that is deeply embedded in the back of your mind for quite some time now. You just don't know it yet. Subconsciously, while typing the phrase "purple sneaker," your brain is already picturing shoes drenched in either lavender or violet hues. Fortunately for you, this is an adequate site for your unconscious inquiries about having unsolicited advice about purple sneakers. Now that we grabbed your attention let's dive into the gruesome, but rather interesting purple-sneaker details that you honestly didn't expect. First off, which shoes do qualify as a purple sneaker? Yes, we all know what the color purple looks like, relatively, except maybe for some with colorblindness who often mistake purple with blue and vice versa. 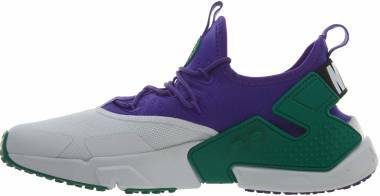 To familiarize us sneaker-mortals to the purple colorway, it would help to look back at some of the purple sneakers under Nike, Puma, Adidas, Reebok, New Balance, Saucony, and many other brands on this site. There is no other artist that best describes the color purple other than The Weeknd. Imagine him during the H&M photo shoot wearing a violet varsity jacket or try to revisit some of his music videos and concert themes. Take that image and put it into one of his sponsored shoes and viola, the Puma Ignite Limitless purple sneaker. Suede gives off that vibrant glow especially when you use secondary pigments like orange, green, and purple. Sneakers like the Adidas 350, which hails from the Spezial franchise, capitalized on this opportunity and colored one of its street-classic iterations in blooming violet. Celebrating the 20th year of the Air Max 97 silhouette, Nike released a lightweight revamp of the most adored sneaker from the bubble-packed franchise. Presented in various colorways, the Nike Air Max 97 Ultra 17 can be seen in purple. Although it looks like Barney the Dinosaur suddenly became fashionable, the high-end Adidas Yeezy 750 Boost has acquired quite a reputation when it comes to purple sneakers. It was the first shoe designed by Kanye West for the three-stripe brand packed with premium materials and a lot of heat. Probably one of the most well-known purple sneakers of all time, the Nike Air Foamposite One totally pulls the violet pigment off with aplomb. The shoe was the product of Eric Avar's brilliance and was seen on the feet of iconic basketball superstar, Penny Hardaway. In 2009, the "Eggplant" colorway was introduced, and fans loved it since then. It is highly unlikely for a nomad to wear purple sneakers while crossing counties but Adidas flipped the tables around. Inspired by the discontented nature of the current generation, the Adidas NMD franchise released another lifestyle silhouette which has a more supportive and enhanced look namely the XR1. 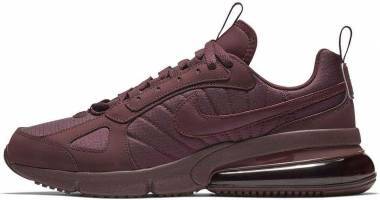 The said purple sneaker also has accents of burgundy to complement its gloomy style. Following up the 2016 release, the Adidas EQT Support 93/17 restructured the classic shape of the runner and made into a casual-inspired shoe. What another way to add a more relaxing appeal to the sneaker than color it in purple details. The particular version of the mom's go-to sneaker should also be considered in this list given that purple sneakers are such a mother's thing to pick. Even though the violet Nike Tanjun Premium lies deeply rooted in the hearts of females, men are free to sport them if they are up for it. The square patterns found all over the upper give it an additional symmetric aesthetic. At first glance, it is hard to characterize a purple Cloudfoam Ultimate from Adidas from its pink/navy counterpart. The intricate blending of pink and navy projects an overall violet look which is totally misleading. 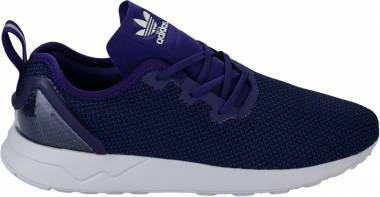 Otherwise, the purple sneaker gives off a radiant vibe to the already comfortable Adidas NEO shoe. Kylie Jenner promoted female empowerment through the Puma Fierce Core which incidentally is also a highly-fashionable foot apparel. The public has seen advertisements featuring Kylie rocking the kicks, but unfortunately, the purple sneaker was not gifted a fair share of the commercial limelight. The next group of purple sneakers are just a level below the most popular ones. These shoes have their own merits and are, oftentimes, a part of a large number of people’s top 10 list. Here’s the next 10 of most-sought after purple kicks. Beneath the blurry controversy of its patenting, the Adidas Iniki Runner proved to be a breakthrough iteration which combines vintage designs with Adidas' contemporary Boost technology. From its "Pride of the 70s" collection branched several fun colorways including one with purple uppers. Drawing inspiration from the ZX 8000 running shoe, the Adidas Originals ZX Flux demonstrated that shoes with a full function in mind do not always come in ugly designs. With more than 90 colorways, the ZX Flux would have several recurrences, especially in a purple sneaker. The Nike Air Max Motion series that was released in 2013 innovates the standard Air Max shoe while bringing it to a whole new level of lightweight comfort. 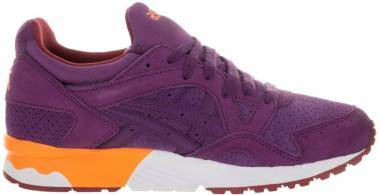 The purple colorway of this shoe comes with orange accents to oppose the full-toned violet tint of its upper. From the proud makers of century-old shoes comes another footwear classic that is bound to be repeatedly collaborated by retailers all over the globe. With its roots of podiatric descent and triangular lugs, the Saucony Jazz Original had cemented its name into the closets of old school runners and sneakerheads alike. Two types of purple sneakers are featured on this site with contrasting interiors and wedges on their midsoles. Scouring the internet for a violet Nike Cortez might lead you to numerous variations of purple sneakers under the classic franchise. One of those Classic Cortez Premiums is even splashed in lavender called the Violet Dust colorway with a snakeskin Swoosh logo completing the exceptional girly look. 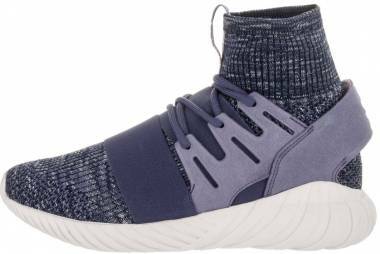 The luxurious, velvety shine of the Adidas Tubular Shadow purple sneaker can be noticed from a distance. The purple sneaker, designed with edgy stitching on its upper, sits atop a white tire-inspired midsole+outsole tooling. Painters know the difference between Bordeaux, burgundy, and violet. It is sad to say that we, on the subset of the unartistic mind, can't tell the difference. If a Nike staff would present us the Nike Duel Racer in the Bordeaux colorway, we will just say "oh that's an awesome purple sneaker!" Art pros will have to break it to you that it's not a purple sneaker. A little trivia: Bordeaux is mostly associated with the color of red wine. Adidas ZX Flux ADV Asymmetrical. Numerous design ideas were pitched for the ZX Flux collection. One of them was out of the ordinary and somewhat distorted like the ZX FLux ADV Asymmetrical. But surprisingly, the purple colorway suits well with the disoriented style of its lacing enclosure. Like the Jazz Original, the Shadow Original also comes in various purple silhouettes. Some of the non-violet ones even have purple detailing to maximize the specific colorway's color potential. Adding extra support and modernizing the heel cups, the Shadow 5000 was one of the models released in the 80s that stayed relevant up to this day. Some variations under this shoe design utilize the violet tint for underlays and overlays while one design features uppers entirely dipped in purple to showcase a tonal display. While off of the top 20, these purple sneakers round off the list of one of the most heavily-sought colorways when it comes to sneakers. These sneakers come from different brands and evidently display the kind of aesthetic flair and comfort that are hallmarks of this in-demand colorway. It is imperative for skateboarders to wear high-performing kicks to be able to execute tricks and grinds. In line with this, it would be practical for skate pros like Mark Suciu to flaunt their self-designed sneaks because you know, advertising. The purple Adidas Suciu ADV comes in very rarely; it only appears on specific retailers for once in a blue moon or this case, a purple moon perhaps. Nike took their pioneer Air model and made it airier. We're not talking about the air bubble here. We're talking about Nike redesigning it into a lighter silhouette called the Ultra and then giving it a breathable knit upper then finishing it in Grand Purple with team red accents. One cannot get any more air than that. The innovative cooling idea of Adidas way back in 2002 was too breezy for folks during that time. More than a decade after, as their sneaker preference matured, these uncool folks realized their mistake and embraced the design with open arms. As more and more consumers gave in with the Climacool fad, more and more colorways were produced including one with Shock Purple accents. Boys are not the only privileged ones to rock a board. Girls have their own volition of riding the streets which were made possible by adding a purple sneaker into the Nike SB franchise. The subdued violet colorway of the Nike SB Check Solarsoft Canvas combines ivory with Grand Purple to amplify a feminine glare. When speaking of coveted and well-known footwear, Adidas Superstar 80s would most likely end up on that list. 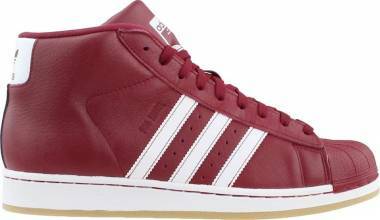 Selling profitably for a few decades now, the Run DMC-kicks skyrocketed the Adidas brand to the top of the sneaker foodchain. It is only reasonable for it to be repeatedly collaborated and redesigned into numerous colorways. One of the standout designs released was The City Pack which includes a purple suede sneaker or the Night Flash colorway featuring Tokyo as its place of inspiration. As we all know, evolution comes in gradually for every living thing which revolves around the principle of survival. Nike, after years of extensive research and development, survived sales struggles by providing unrelenting technologies like the Flywire and Huarache. 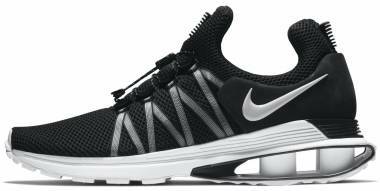 Adopting to current lifestyle trends, the Nike Darwin upped the scales a notch by showcasing several techniques in a minimalist shoe. It even delivered a chromatophoric maneuver when it was released in a purple colorway. Burgundy is adding a dash of purple into a red template. The resulting color would side more on the purplish spectrum. The Nike Lunar Force 1 Duckboot utilized this tinge which made it more ready for fall and winter. Vintage Adidas apparel would not get away with the trend of staining itself purple especially one with a suede upper. The Adidas Campus, which comes from a basketball ancestor called the Adidas Tournament, turns out to be the perfect canvas for a violet make-over. As mentioned in the post above, Adidas classics maintains its relevance to current times by manipulating its colorways which is sometimes uncalled for. But in the case of the Gazelle, it almost seems that every template in the color wheel can be chosen to accentuate its style. Since 1966, its expansive legacy also gave it the chance to be consistently re-released into numerous color designs including several in the purple colorway. It was a surprise that this underdog sneaker would turn out to be 2017's top-selling silhouette given that it's a mom's option for footwear. But behind its questionable fame lies a supremely comfortable and blendable sneaker even if its dyed in purple. One might ask the question: why aren't the other brands featured? Well, that was just the tip of the iceberg. Found below are some of the iconic purple sneakers from footwear companies not mentioned above. Being the most recolored sneaker in the Reebok franchise would mean that it would most likely encounter a purple sneaker along the way. And it's not few, to tell you the truth. Among the several purple iterations of the Reebok Classic Leather is the lavender colorway that has a pale gloss with tonal laces which is more of an option for girls than boys. Inspired by tennis, the Reebok Club C 85 garnered a right amount of following through the years due to its simple and casual flair. It is also one of the most redecorated Reebok sneaker prizing itself in either suede or premium leather. The Reebok Club C 85 Pastels feature the colorway Moon Violet which perfectly matches women's clothing. Luxury and leisure is a potent mix to obtain but inserting a Balenciaga sneaker into the equation completes the concept. Known to be one of the priciest sneakers to circulate the fashion realm, Balenciaga colors one of its iterations in purple. The violet Race Runners from Balenciaga come with a glossy purple overlay which is countered by a stretchy neoprene upper. By having a notion of being fashion-centric, the Spanish-born company stretched their elegance by coloring their already vogue sneaker in regal purple. Two colorways marked the comeback of the Asics Gel Kayano Trainer in 2015. 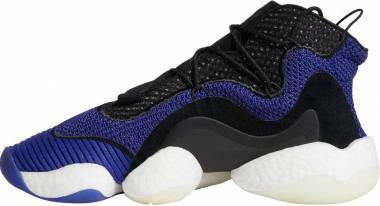 One of them comes in purple/atomic blue colorway which features violet as its dominant upper color with hints of blue rubber overlays complemented by orange accents on the tongue and midsole. The original runner honors the designer's name, Kayano, which was first introduced to the public eye in 1993. Out of all Asics sneakers, it seems that the split-tongue Gel Lyte III has the most purple sneaker collection. Violet is used as an accent or as the significant color for its upper. 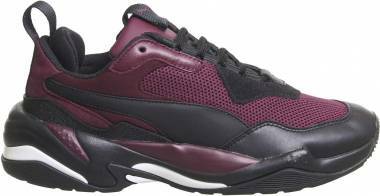 One of the notable iterations of this sneaker in a purple tint would be the one with purple/purple suede uppers which is complemented by a black lace bed. The 996 was one of the retro runners which were revitalized by the same designer (Steve Smith) who brought us the hideous yet fashionable silhouette called the Reebok Instapump Fury. Considered one of the dad shoes to be instilled as a lifestyle sneaker, the 996 continues to flourish in vast colorway options including one in Plum violet. 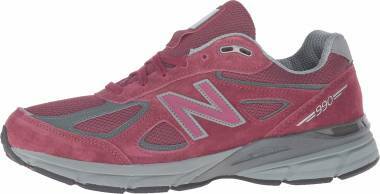 Going for an overall purple New Balance sneaker might lead one to the New Balance 501 model. The purple women's sneaker is built with enhanced traction from the ripple sole and an alluring facade projected by its radiant upper. The Purple/Gunmetal colorway encases a balance between styling and function. The Nike Jordan Future was probably the first attempt to incorporate a forward-looking upper into a basketball-driven franchise. On May 2014, Jordan Brand introduced the Dark Concord colorway which features an almost tonal purple with a white midsole breaking the overall color. 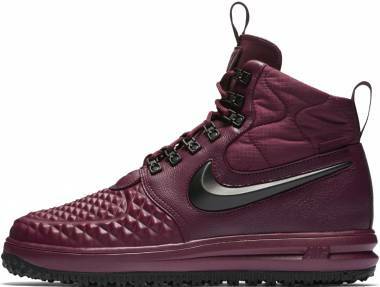 The ice soles were also tinted in violet to give off a sleek appeal. Giving homage to the factory that started it all, Vans inducts another grand model into the casual franchise namely the Vans Anaheim Factory Authentic 44 DX. Yes, the name is a mouthful but its design is simple just like that of the standard Authentic as if it's not already apparent in the title. The purple colorway is not much famous as the other hues, but it really deserves a break. The suede and canvas amalgamation of the SK8-Hi from Vans shoe is the perfect medium for tinting the sneaker with a violet pigment. 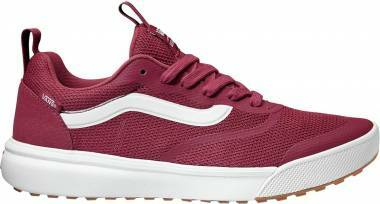 Inspired by the Old Skool, the high cut sneaker not only promotes the Side Stripe legacy but also added ankle protection during skateboard mishaps which, by the way, also became a fashion statement. The Chuck Taylor All Star High Top purple sneaker occurs only in rare occasions and on those sporadic appearances, it would emit a have-to-grab-a-pair vibe. Including an extraordinary color to a closet full of Converse sneakers is somewhat kind of a trophy shoe given that Chucks are staples when it comes to strutting the streets. The pioneers of the word "sneakers" might have to live up to their word and paint their prized shoe in all visible colors found on the planet. Unfortunately, they didn't because they want to keep a pristine essence of originality and really stick to their roots. At least we still get to see a purple Champion sneaker somewhere. Literally, from rags to dumbfounding riches, the Polo Ralph Lauren apparel line keeps up with the current sneaker fad with flying colors. The purple-colored iteration of the Polo Ralph Lauren Faxon Low exhibits a looming violet upper which coincides with clothing conveniently and stylishly. If boating was your thing and have a niche for style, then rocking a purple Sperry Wahoo Multi-Knit CVO would be hitting two birds with one stone. The sneaker is equipped with rust-proof eyelets and a cozy multi-knit canvas upper that would certainly pack a lot of mileage from coast to coast. Icons and significant beings help boost the sales of sneakers even if it is ridiculously uncalled for. Most of these collaborations under the purple umbrella are notable for bearing the violet pigment while some just want to experiment on the taste of its appeal. Vans had colluded with perky fashion designer Aya Kawasaki and Japanese-based retailer Charlotte Sibuya to release their "Peach Soda" colorway set to hit the streets of Japan. The hue transitions from purple on the toe cap to orange then yellow at the heel area. For those who melted while seeing the beach-inspired sneaker, the California sports brand made up for it by introducing it in the U.S. as the Sunset Fade Pack instilled in the Authentic and Slip-On models. In the late summer of 2015, Vans and long-time friend Supreme released an "Eat Me" collection which featured the skate brand giant's eccentric model, the Sk8-Mid Pro. Three colorways were featured, and one comes in purple. The words "Eat me" are scattered all over the canvas part wrapping the ankle while suede overlays cover up the toe and heel counter. The cross-state relationship of Concepts and Vans heralded one of the classic iterations on the skatewear producer's archives. One of the fortunate classics to be given a make-over was the Vans Sk8-Hi which was spearheaded by the brand's innovative minds called the Vans Syndicate. The purple sneaker was packed with premium details starting from the croc-embossed leather paneling and an unorthodox zip-up style on the tongue. The proximity between New Balance and Concepts bore a fruit that would scream royalty all over its silhouette. Giving the 990v2 a glimpse of sophistication, the two had revamped the sneaker with purple suede uppers which were inspired by the ancient way of extracting the violet dye. Tyrian Purple was said to be obtained by processing snail shells during historical times thus explaining the spiral design on the shoe box's cover. It took more than a decade before hip-hop artist Cam'ron realized the full potential of one of his albums. Sticking up to its name is a purple sneaker inspired by the artist's Purple Haze album from 2004. The Reebok Ventilator Purple Haze features three shades of violet in a suede and leather upper which is complemented by a pink interior lining. The limited edition purple sneaker also comes with Cam'ron's face at heel part of the footbed which is a highly unlikely position for a face to be stepped on. For the anniversary celebration of the Asics Gel Lyte III, Size? introduced a startling silhouette called the "Iris" which boasts a colorway in three shades of purple. Sneakers that are tonal would usually represent a homogenous mix of colors, but in the case of the Iris, the color seems to darken as it approaches the laces. Yellow accents complete the look which was pulled out from the image of an iris flower. Pippen basketball sneakers must have a taste of reinvention from time to time to honor the superstar's legacy of groundbreaking success. One of the fortunate models was the Nike Maestro II which was even designed by the iconic NYC-born designer Ronnie Fieg himself. The Kith x Nike Maestro II showcases eminence by dripping itself with purple blood from top to bottom. Some purple sneakers don't need a formal introduction for them to be recognized with class and dignity. Some of them had brought out their slice of fame by just being remarkable. Nothing can get any more purple than this. With a silhouette that is almost as high as a winter boot, coloring it in purple is enough for one to handle. Nike introduced their version of violet in the title "Court Purple" which was also utilized in two other shoes in this collection. The purple SF AF-1 displays the same shade of violet from its laces to its sole. Yes, we were mistaken about mentioning three iterations under the Court Purple franchise. Last, but not the least, was the Nike Air Force 270 QS to be added to the already coveted collection of purple sneakers from Nike. It deviates from the pack by having a white midsole with a black Air-sole unit which really gives dimension to the overall image of the sneaks. Inspired by Charles Dicken's "A Christmas Carol," the Reebok Question Mid comes in a purple colorway that had presumably hit the closets of Iverson fans. The sneaker comes in different tints of violet starting with a lavender-ish Hexalite midsole followed by a dark purple suede overlay. Red accents are used to complete the A Christmas Carol look which runs through the whole interior. Having won five championship rings with the Lakers made him eligible for a sneaker revamp. The Kareem Abdul-Jabbar shoe was Adidas' way of saying thank you for the legend's contribution to the basketball zeitgeist which flourishes in a dominant purple upper. Contemplating about purple sneakers would surely catalyze a lot of questions. Found below are some of the most common questions that circulate the web involving purple sneakers. How do you style purple sneakers? Always remember the general rule that when your outfit contains a certain color, your shoes can be any shade of that color too. Take note that the purple pigment would mostly apply to girls as they are known to pull off that color better (like Minka Kelly) but other guys have the talent to do so. For those who aim for a more laid-back approach, one can style themselves with purple sneakers partnered with simple clothing like chinos and white long sleeves for men. Muted colors of apparel would somehow coincide with brightly colored shoes like that in a purple shade. Where to buy casual purple kicks? A lot of global brands produce a tremendous amount of color iterations for one of their top grossing shoes. For example, the Adidas Superstar can be found in numerous designs and tints which includes one in purple. Online sneaker stores like Amazon, Zappos, and the brand's official website are the best places to look for these because rummaging through physical stores for purple sneakers is such an arduous task to accomplish. 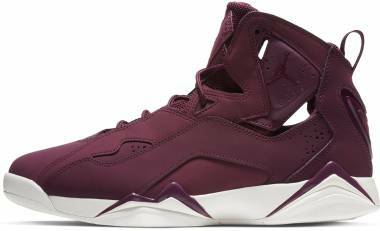 Does the color purple affect the relative price of a sneaker? For most of the times, no. A running notion that purple resembles sophistication and royalty does not apply to the dye itself. It technically relies on the nature of the materials used which dictates the price of a sneaker and not the color purple. Suede and leather bound materials are usually more costly than canvas ones. What does the color purple signify? When it comes to clothing, the purple hue implies class, prosperity, and spirituality. It is usually associated with the ancient times where the only people who can wrap themselves in purple are the ones under royalty. The explanation behind this is because the violet dye was difficult to acquire during those times and rich and powerful people use it to convey a message of authority. Extracting it requires a lengthy process involving snail shells which would be named Tyrian Purple. What are examples of purple Nike sneakers?